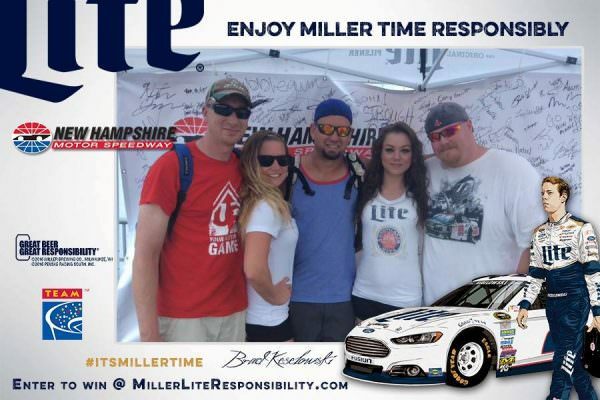 Responsible NASCAR fans earned valuable rewards at the New Hampshire 301 race on Sunday July 17, 2016. 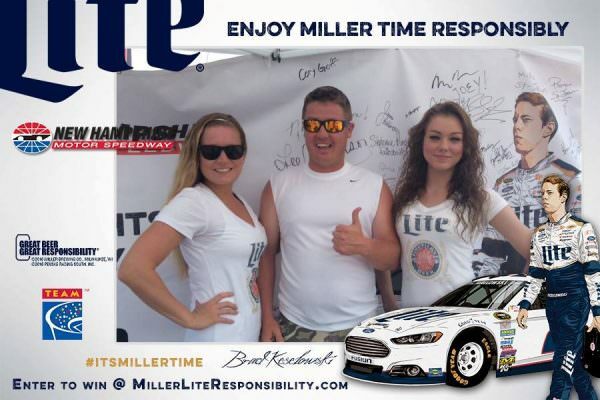 The track, Miller Lite and TEAM Coalition partnered to promote responsible drinking and traffic safety. Before the race, 197 fans made the pledge to be a designated driver for their group. Fans who pledged received a free souvenir photo, instant prizes and a chance to be selected as the Designated Driver for the Race. One randomly selected, responsible fan will win the Responsibility Has Its Rewards sweepstakes. 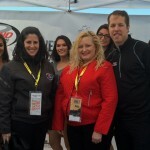 The grand prize includes tickets and a VIP experience for two people at the New England 300 on September 25, 2016 at New Hampshire Motor Speedway. 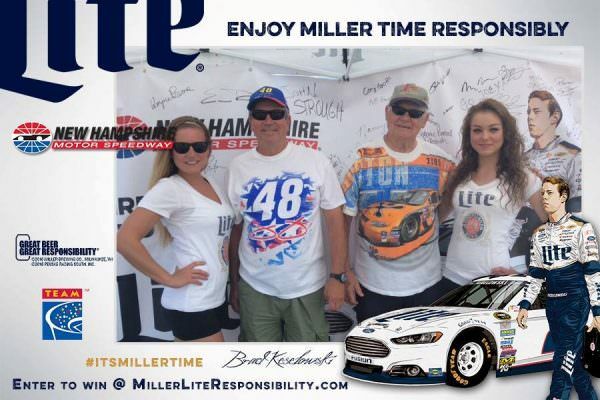 Every fan who received a photo was also directed to MillerLiteResponsibility.com to enter for a chance to win a 2016 Ford Fusion SE. 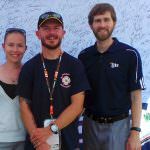 The Designated Driver for the Race from the Sylvania 300 last September, Matt Timberlake, received a pair of tickets and a behind-the-scenes experience before the New Hampshire 301. 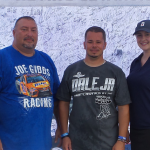 He and his daughter celebrated her 16th birthday while taking in all the fun at New Hampshire Motor Speedway.